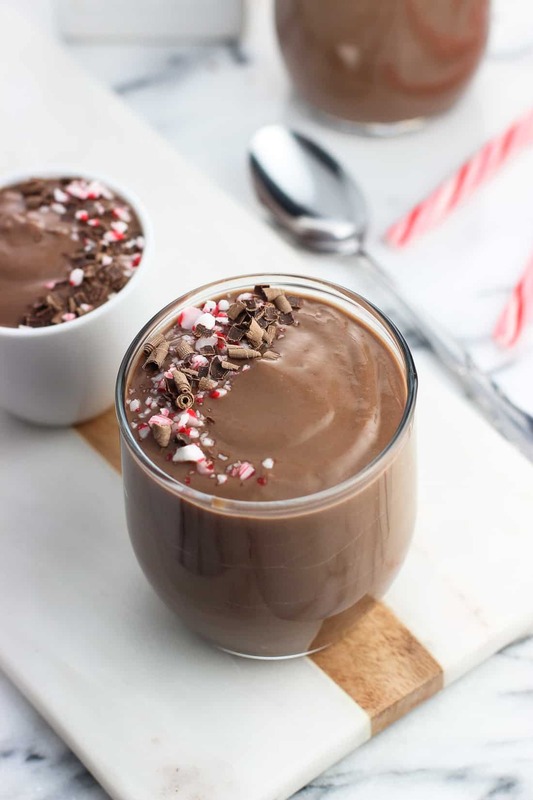 This peppermint mocha pudding adds a festive touch to an easy homemade chocolate pudding recipe. This chocolate mint pudding thickens with cornstarch (no need for eggs) and features just the right amount of mint without being overpowering. It’s a delicious holiday treat! ‘Tis the season for gingerbread, eggnog, and peppermint. I’m betting you’ve seen your fair share of those flavors on foodie social media, right? It’s hard to resist seasonal treats this time of year, because despite being delicious (well, duh), they’ve got an air of exclusivity to them. Those flavors tend to go away pretty quickly once the holidays are over as we go hurdling into all things kale, green smoothies, and quinoa. But let’s not rush things! The chocolate peppermint combo is a classic, but I’m partial to an espresso or coffee twist to make it peppermint mocha. Remember this peppermint mocha cookie cake? YUM. 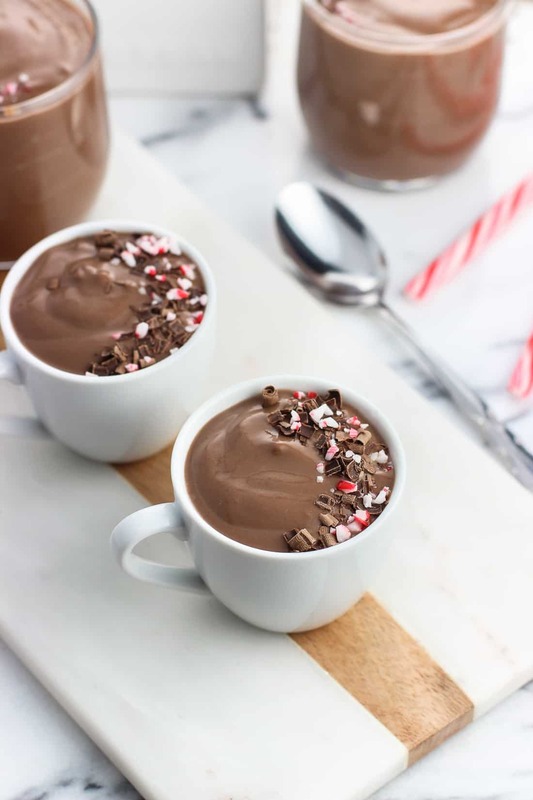 The espresso, which in the case of this peppermint mocha pudding is espresso powder, both amplifies the chocolate flavor and tempers the sweetness just a bit. Plus it adds a roast-y flavor that I just love. Espresso powder, also known as instant espresso granules, comes in a little jar in the coffee aisle (or online). It’s finer than standard ground espresso and quickly dissolves and works its way into the rest of the dry ingredients without becoming gritty. It’s simpler to add to a recipe than regular espresso because you don’t need to adjust anything for the extra liquid, and there’s the bonus of not having to think ahead and brew it – it just goes right in with the dry ingredients. When it comes to homemade pudding (speaking with these lemon and banana versions in mind), my typical recipe includes egg yolks. This time I relied mostly on cornstarch as a thickener and loved how it did the trick while simplifying the process. 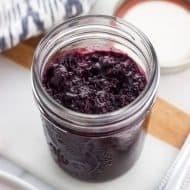 Three tablespoons are all you need for a thick and jiggly pudding without it becoming too gelatinous. Because espresso adds a slightly bitter flavor, it’s important to balance it out by the addition of sugar or other sweeteners. 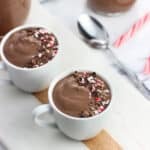 In addition to the granulated sugar, I stirred in one-quarter cup of semi-sweet chocolate chips along with the butter at the end for a silky smooth and richly flavored peppermint mocha pudding. 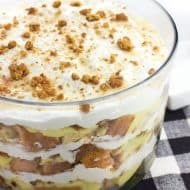 This pudding isn’t too sweet, bitter, or minty – it’s the perfect balance! It’s important to whisk the dry ingredients very well before adding the milk, as this helps prevent lumps in the pudding as it heats. I kind of ‘chopped’ at the clumps of dry ingredients with the whisk to make sure they were broken up. For you recipe freestylers, I wouldn’t use more than the one-eighth of a teaspoon of peppermint extract written in the recipe card below. Peppermint extract has a very bold flavor, and even the tiniest smidge too much can be overpowering. You can omit the espresso powder, though then you’d be making peppermint chocolate pudding. Still delicious! Add sugar, cocoa powder, cornstarch, espresso powder, and salt in a medium saucepan and whisk until the ingredients are combined well and no lumps remain. Pour milk into the saucepan and set saucepan over medium heat. Whisk well to combine. 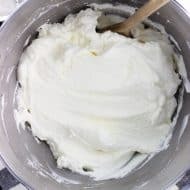 Let mixture cook and thicken, stirring frequently, for 15-20 minutes, or until the pudding mixture is thick enough to coat the back of a wooden spoon well. Pay special attention to scraping up the bottom and sides of the saucepan while you're stirring. Once thickened, remove saucepan from the heat and stir in extracts, chocolate chips, and butter. Stir until all combined and the chocolate chips and butter are melted. Press a piece of plastic wrap against the surface of the pudding, making sure the whole surface area is covered (this prevents a film from forming). 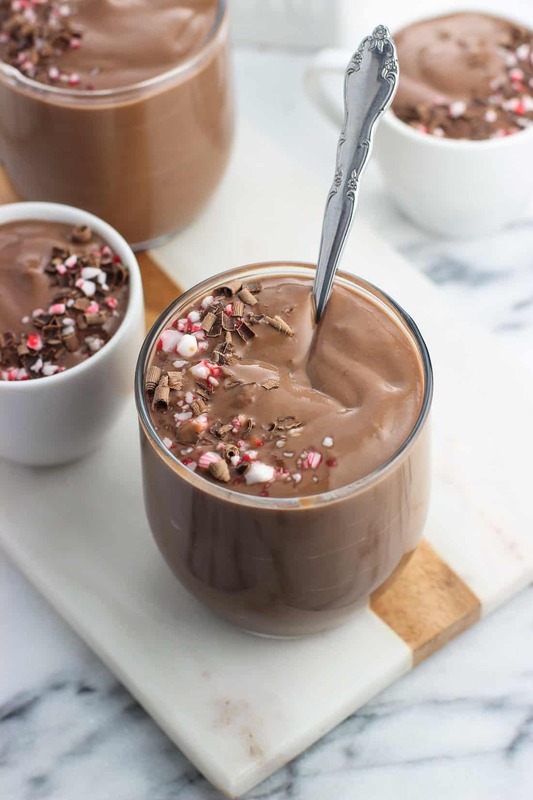 Let peppermint mocha pudding cool slightly for 30-45 minutes at room temperature, and then transfer to the refrigerator to chill completely. 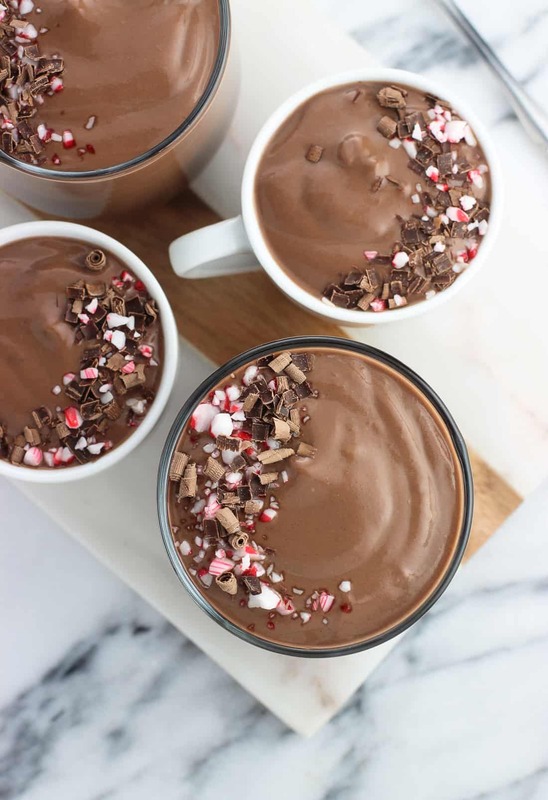 I decorated these peppermint mocha pudding cups with chocolate curls and crushed candy canes. 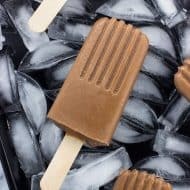 To make chocolate curls, run a hand peeler along the side of a chocolate bar and peel as if you were peeling a vegetable. Base chocolate pudding recipe adapted from allrecipes. Do you think this would work using coconut milk? Hi Alison, yes that should work just fine!